As promised in my previous post (Part 1), I will now write a somewhat substantive post about Marx and non-ideal theory. I am writing this post overlooking the beautiful Manoa valley at night from the 9th floor of my residence building. I won't write as much as I initially planned, but I want to get some ideas down as to why I think Marx is a very different theorist than Plato in terms of the skills they exercise (e.g. detailing ideal aspirations vs diagnosing societal problems and detailing how we might effectively confront those problems). In my last post I argued that Plato was the paradigmatic example of an "ideal" theorist. Plato's Republic is primarily concerned with detailing the epistemic ideal society, where philosopher kings and queens rule over the ignorant masses. And this hierarchy of reason over courage and the appetites also matches Plato's account of justice at the level of the individual. Non-ideal considerations (e.g. how to ensure the philosophers actually rule in the interests of the common good and do not suffer the epistemic vices the rest of us suffer) play only a secondary role in Plato's theory and are not very compelling. Detailing the ideal is Plato's primary concern, how to realistically achieve that ideal is almost an afterthought. Karl Marx, on the other hand, is the non-ideal theorist who theorizes the non-ideal. Marx observed the exploitation and alienation that most people living in 19th century Europe experienced and he sought to (1) diagnosis why this was the case and then (2) detail how to emancipate the workers from this fate. Unlike Plato, Marx does not jump immediately to detailing what he thinks the ideal society entails. seize and employ the means of satisfaction of those wants. T6—Ideology thesis: The ideas of the ruling class are in every epoch the ruling ideas. T7—Development thesis: Productive forces tend to develop. T8—Selection and transformation thesis: Productive forces select structures according to their capacity to promote development and persist as long as it is optimal for further development of productive power. T9—Intelligence thesis: People possess intelligence of a kind and degree that enables them to improve their situation. Like Plato, Marx identified hierarchies that exist in human societies. But he didn't take these hierarchies to be "natural" with some destined to rule over others. Instead Marx conjectured that these class hierarchies played a key instrumental role in permitting certain productive forces to develop (e.g. agricultural technologies, then industrial technologies). And these "relations of production" no longer served to facilitate the development of the productive forces they were cast asunder and replaced with new relations of production that could do this, which brought in new class dynamics. As is clearly evident, Marx's diagnosis of the problems with the "status quo" are much more profound and sophisticated than Plato's complaint that democracy has poor epistemic merits. 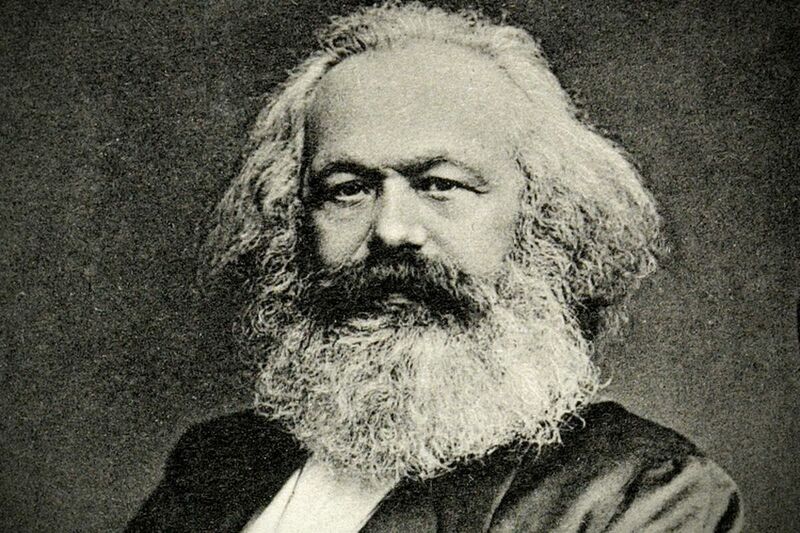 Marx details a conception of human nature, how societies have transformed from slave, feudal and capitalist systems to an eventual post-capitalist future. Marx has at least 3 conceptions of exploitation- a theory of exploitation in the labour process of capitalism, a transhistorical conception and a general account of exploitation. One could write books about Marx's account of why things are the way they are (his theorizing of the "non-ideal"), before coming to his predictions about what will occur in the post-capitalist society. And the details here, compared to his extensive diagnostic lens, are pretty sparse. We know the motto of the communist society will be "from each according to his ability, to each according to his needs". We know he thinks it will be a situation where the means of production fall into the hands of the masses, so they can partake in productive activity that is fulfilling and meaningful. Marx also describes the transition from the "lower phase" of communism to a "higher phase". While I am not a Marxist, I can admire the depth and sophistication of Marx's social theory. I do not think (With the exception of Aristotle, the greatest theorist of all time in my books!) any theorist comes close to the impact and depth of insight of Marx. Period. My admiration of Marx stems from his unfailing commitment to "theorize the non-ideal". To understand how we got into the predicament we are in. And only then, with a clear picture of that historical story, can we integrate a story of how to move forward in a way that could realize the aspirations we think are defensible and realisable. The skill-set required of the Marxist theorist is very different from that of the Plantonist. And I think theorists today could profit immensely from aspiring to emulate the non-ideal theorizing of Marx vs the ideal theorizing of Plato. I am not saying we must be Marxists (far from it), only that we ought to take the "bird's eye view" of the problems we address, like Marx does, rather than be overly preoccupied with precisely defining some distributive ideal or concept in the abstract.